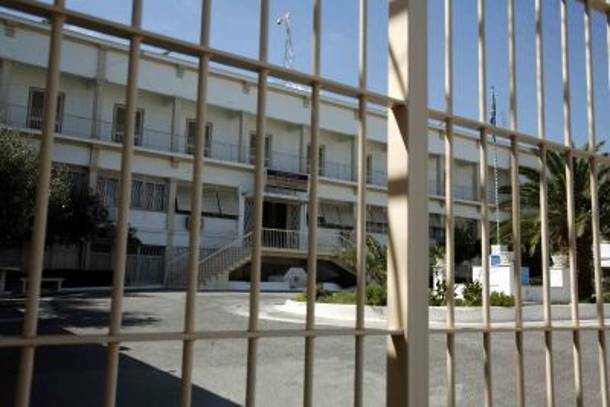 We, as prisoners in Korydallos prison, state our undivided support toward our fellow prisoner, university student and hunger striker Vasilis Dimakis, who went on a hunger strike on the 14th of March 2018 and has already lost 12% of his body weight, in the struggle to reverse his unlawful exception from the institution of monitored educational furloughs, when other prisoners who had the right to educational furloughs received them when they appealed for them. We consider the decision taken by the Disciplinary Council of Korydallos to be unjustified and a threat against everyone’s rights. We ask for the law to be adhered for everyone, without any exception regarding the educational rights of everyone and the few human rights we have left. Refusing to sign an educational furlough, is a very loud message saying that any effort to improve conditions of detention in prison are pointless and it’s not even worth the effor to try. So, as a gesture of protest and solidarity, we are keeping the prison yard open during midday, until the Court of Sentecing which examines the appeal of the hunter striking student on the third of April, gives the message that our human rights are respected not only in theory but in practice too. Μην εγκαταλείπετε τον Βασίλη Δημάκη. Θα επιτύχετε αν συνεχίσετε, αποδείξατε ότι μπορείτε να το κάνετε, ότι έγινε καλύτερος άνθρωπος για λύτρωση. Δυστυχώς, τίποτα δεν είναι απλό, η μετριότητα και η ιδιοτροπία είναι απεριόριστες για κάποιους ανθρώπους.